Want to improve employees’ efficiency, productivity and their work convenience? Want to provide the possibility to work from any place at any time – from the office, from home or even on the move? Want to access advanced analytics which allows making careful and highly effective decisions? Want to create conditions for productive teamwork? 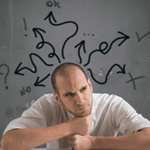 Your CRM system lags behind well-developed technical environment? … Then it’s time to consider the CRM system upgrade! 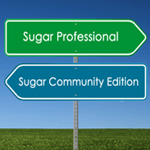 SugarCRM Community Edition vs Sugar Professional: Is It Reasonable to Upgrade?